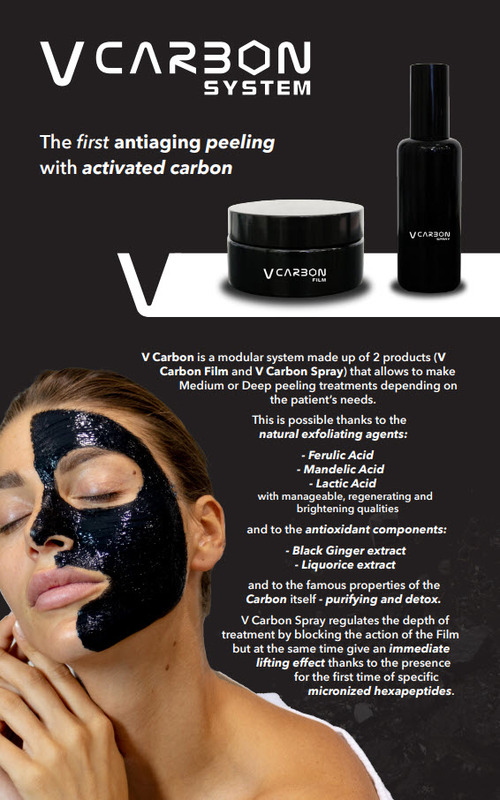 Introducing V Carbon, our very latest skin treatment to exfoliate, brighten and firm. The V carbon mask is a unique non-invasive treatment using activated charcoal for an exfoliating and purifying effect. The activated vegetal carbon contains Black Ginger and Liquorice combined with modulated acid components to produce a detox and antioxidant method for oily and impure skin. Activated charcoal powder is adsorbs thousands of times its own mass in harmful substances, which makes it a popular ingredient in facial masks. The natural carbon quickly absorbs oil, impurities, and dead skin cells from deep within pores and pulls toxins to the surface. Application of the carbon is followed by a neutralizer containing hexapeptide. It provides an immediate smoothing and brightening effect and removes the activated charcoal treatment from the face to eliminate the contaminants absorbed by the carbon. It helps to purify, hydrate and reconstruct damaged skin. This is not a “hard drying” “rip it off” charcoal mask! The elegant V carbon mask washes away gently with the hexapeptide neutralizer, leaving your skin clean, bright and glowing. 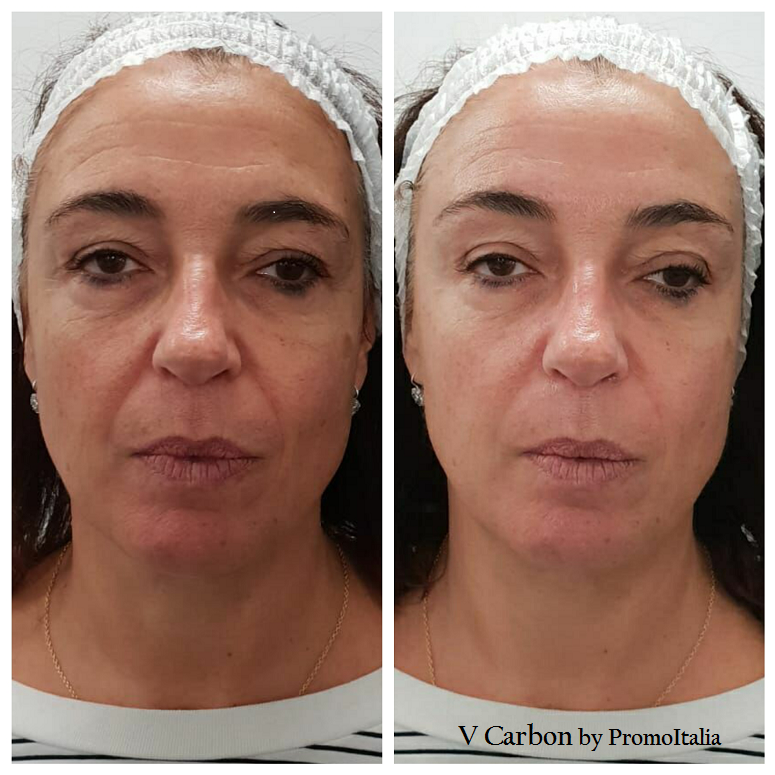 At Renew we LOVE combining the V Carbon Mask with our Derma-planing service! PromoItalia is an international company and leader in the field of aesthetics, medicine and plastic surgery. Founded by Valerio Matano-an influencer in the aesthetic medicine field. Valerio offers universal knowledge to doctors, surgeons and consumers with advanced technologies, methodologies and over 106 commercial products distributed in 91 countries. A scientific department and an entourage of engineers focus their daily operations in the research and development of new products and improving the ones already existing on the market. All equipment and products are produced exclusively in PromoItalia factories to optimize the quality and control processes. FDA approved, products vary from wellness and beauty devices to patented procedures. PromoItalia has taken a huge leap forward in the evolution of aesthetic medicine.